The Lotus Meric ankle boot is a classic style with a thoroughly modern look. Decorative buttons and loop closures are encapsulated on the sumptuous brown leather upper of this ladies’ almond pointed toe boot. 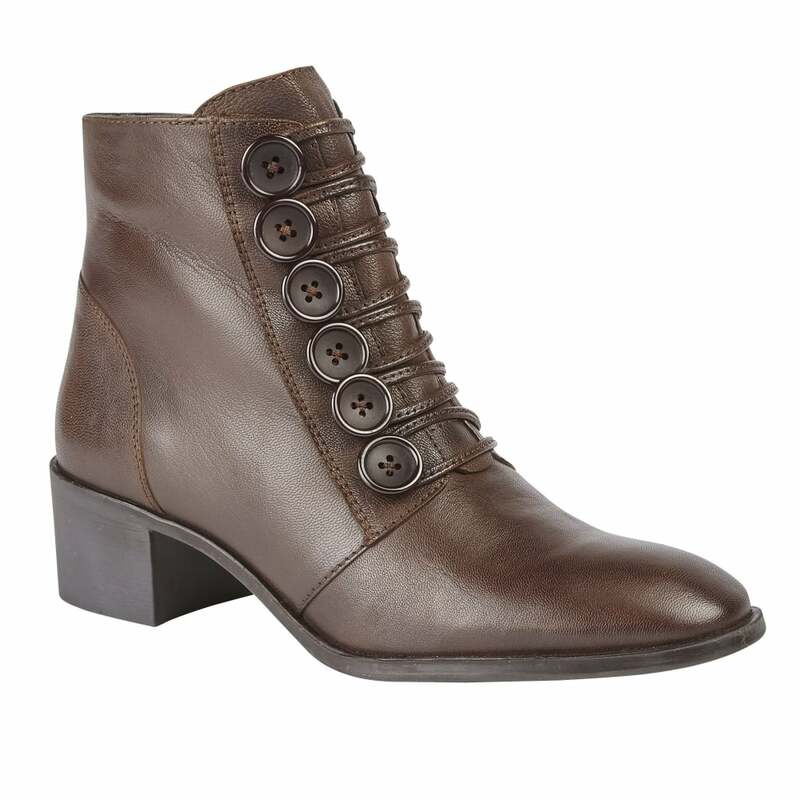 The 4.5cm block heel makes this Lotus ladies’ boot exceptionally easy to wear.